Residing in the north of Lebanon, Mouin Merhebi is a member of Saad Hariri’s Future Movement. A staunch opponent of Hezbollah and the Assad government, he currently serves as Minister of Refugee Affairs (officially “Minister of State for Displaced Affairs”) in the Hariri government, a position he has held since December of 2016. 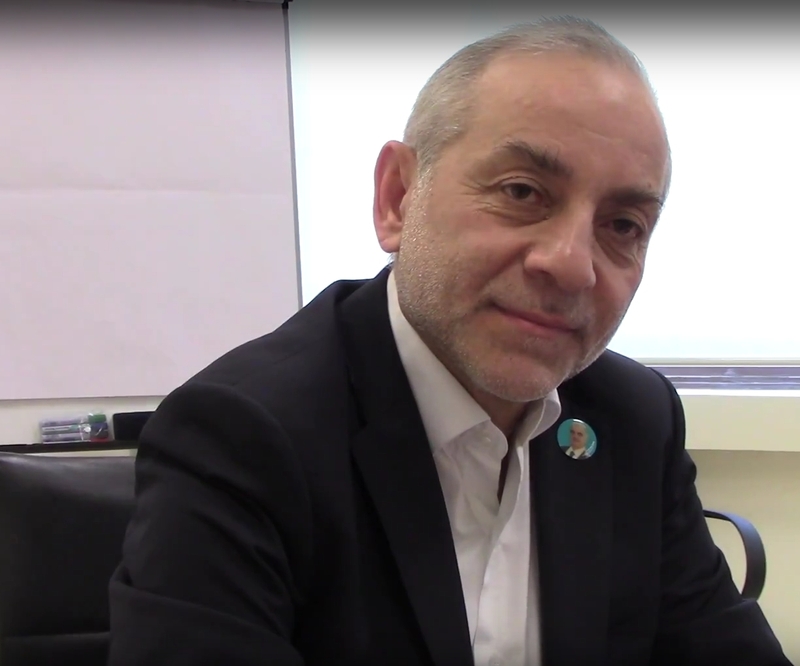 Though coming into the position with little experience in the matter, Meherbi’s active lobbying on behalf of the refugees and his adamant stance on refugee return has won him the praise of several NGOs and the U.N.
With the Syrian Civil War seemingly approaching its end, the Minister’s position and the administration of his bureaucracy will become even more important. Though severely strained by possibly over two million Syrian refugees, Lebanese infrastructure and society have managed the crisis well. The next test for Lebanon will be for it to manage the orderly and peaceful transition of Syrians back to their home country. Minister Merhebi was kind enough to share his opinions and outlook with me in an interview conducted in Beirut in April of this year. There is some disagreement regarding the actual number of Syrian refugees in Lebanon. Some put the number at just over one million, others at two million. I would like to know what is the best count that your ministry has of the number of Syrians actually in your country? Well the count is about one million but we have about 500,000 who are not registered. The difference in numbers is due to not having those people in camps. When they came into Lebanon they did not come through official crossings. So that’s why. But according to the U.N. agencies and the UNHCR, the registered are about one million and adjusting for uncounted people in remote areas, we have one to two. So that’s at 1.5 [million]. Initially, there was a decision made not to put them into camps. Why was that decision made? When those people first fled, it was from killings and torture. They were forced into being refugees; they were trying not to be killed, [trying to protect their] families, children. They did not agree with our [Hezbollah-backed] government [which is why they crossed illegally rather than through official border crossings]. So they ran across the border from their cities and we were not prepared, we did not know about it [ahead of time]. We tried to help them individually, not officially, not through our government at that time. It took time to really understand how big the problem was, that the crisis was huge. Later on, all the U.N. agencies, our government, the NGOs, and other nations tried to help. We did not have tents, we had our houses. We put them into our homes just to shelter them. Later on we had internal political problems inside Lebanon. Some of our parties did not want to let those people live in camps. They feared that the same issues that happened with the Palestinians will happen with the Syrians. We are a small country with a small population. We are 4.2 million within 10,452 km2 so you can understand the issue. Absolutely. You mentioned the various U.N. agencies that are working with you. It seems that government efforts have been somewhat haphazard. Has the U.N. helped in terms of organizing, not just their own efforts, but government efforts? No, the U.N. agencies have not organized government efforts. No. We had some issues stemming from our internal problems. We had to deal with that and it took time. The perception may be such, but really from the first—let me tell you, PM Saad Hariri’s cabinet had resigned and it took six months to get a new cabinet. During these six months we did not do things the right way because we did not have a cabinet at the time. Later on, we got a cabinet with PM Mikati—it was a Hezbollah cabinet. Hezbollah did not want to deal with this issue positively. So myself, I had many problems with this cabinet. I always called on this cabinet to help those people, to build camps for those people so that we could help them in a positive way—most of all to know where those people are living. Sometimes we are not able to send food because we don’t know where they are. Things went much better with the cabinet of PM Salam. And now with this cabinet, we have made a new Ministry for refugees. By the way, we call it “displaced” [in reference to the title “Ministry of State for Displaced Affairs”] because in Lebanon we do not like to [include Syrians within] the same problem as the Palestinians, who since 1948 have been living in Lebanon. But we deal with them [Syrians] as refugees, let me tell you frankly. This is different from the Palestinian crisis because the Syrians, unlike the Palestinians, have a country to go back to. It seems that across the political spectrum in Lebanon the intention is to send the Syrians back. Is that the official stance of this Ministry? Let me tell you: Regarding the return of the Syrians, they should willingly return under the supervision of U.N. agencies. We will not force those people to return. We cannot guarantee those people’s safety if we [force them to] return them to their country. So they have to decide themselves to return. We are not going to interfere with the situation. We have not made any statements saying that we will force people to go back to Syria. And we will not. So you won’t take a more internationally-facilitated return? It is a direct responsibility of the U.N. to take action on this issue. So if there are safe places where they can build homes, or build camps for them, it is those refugees’ decision to return and with U.N. help and U.N. cover. We as the government of Lebanon cannot take any forced action towards those people’s return to Syria. We cannot do it. We are a member of the U.N. and we will not do this. There are some major principles and we are abiding by those principles and laws. Conversely, that might mean that Lebanon will have to tolerate a large, semi-permanent refugee population from Syria? We have been coordinating this issue since 2011. This is an issue of human beings. It’s not an issue of trade or whatever. They are people, like me and you. So you cannot treat them as if you are not aware of this issue or do not know about this issue. We have had a lot of problems with Syrians and Syria used to govern our country. Their soldiers tortured us, their soldiers shot at our cities. Our government was controlled fully by the Syrian government, by Hafez al-Assad and Bashar al-Assad. But this issue is about human beings and we cannot deal with this issue as if we are avenging what they did as torturers and destroyers in Lebanon. These refugees—they did not do this to Lebanon. They are not responsible for what their government did to Lebanon. We are dealing with this issue from a humanitarian side. I’m struck by the human face that you are adding to this issue, in contrast to the responses heard from other ministries who only focus on the numbers and talk about the one million, 1.5 million, two million, etc. With the Palestinians, yes there are two million, plus some Iraqis. But it is something human, nothing else. It’s remarkable that you would take a step back from the numbers when we are talking about two million foreigners, compared with a population of four million. It’s an impressively large number. And you think that return should be absolutely voluntary? We cannot send somebody to be killed or we would be criminals, and we are not criminals. We are not. In terms of Lebanon’s future, if a large part of the Syrians stay, what will be their status? Will they ever be integrated into Lebanon? No, not at all. This situation will not allow it in any condition. And when things get better in Syria, I think the refugees will be eager to return. Fifty percent of those people are living below $2 per day [inside Lebanon, now]. How can they continue living this way? If they are able to go back to their houses, their lands, to build a new future with new hopes, I’m sure the conditions in Syria will be much better for them. I don’t think there will be a mass of them not willing to return to Syria. If you go and ask a young Syrian student, “what do you want?” He will tell you directly: “I want to go back to my house in Syria, to my land in Syria. I want peace.” That’s it. Let me tell you, those Syrians, I respect them very much. They used to come every Thursday in the afternoon and go back to Syria on Friday afternoon. Do you know why? They used to have demonstrations on Friday after prayer at twelve. The demonstrations used to be finished at four or five o’clock. So they used to send their wives, their children to Lebanon on Thursday to safeguard them. They used to get them back after the demonstrations, just to keep them safe. When we would ask them “Why don’t you stay a little bit, just to be sure there are no shootings or anything?” They would tell us, “Well, we are eager to go back and we cannot keep our lands and our houses from those criminals.” So when you are moving every week for eight months and going back every week, and going back to your house, your village, what do you think about those people? Just a mother taking her children with her—two, three, ten years old, twenty years old—what do you think about those people? Well I have full respect for them. Till now they are thinking about their return; I’m sure they are eager to go back now and not tomorrow. And just one final question concerning the future of the region, Lebanon and Syria in particular. Do you think that Syria, post-conflict, can learn lessons from post-conflict Lebanon, with how well this nation is doing comparatively? Yes, sure, and everybody should learn from each other and for sure as neighbors we are learning from each other. I think things will go much better when this criminal Bashar al-Assad, this butcher, will be out of Syria, him and his regime, those killers. The Syrians will be able to live in peace, to rebuild Syria. Those people are not Daesh, they are not al-Qaida, and they are for sure not the worst criminal ever on earth: Bashar al-Assad. He killed maybe 500,000 of his people and destroyed all his cities. Now 50% of his people are refugees in other countries. What a shame for everybody, for the world, for the international community. So if we can, if we are able to help them find peace, to enforce peace in Syria, it will be for the best for the region, for the best for the whole world. That’s why we are fighting those butchers and ISIS and al-Qaida. This is the right way, to force peace in Syria and to stop this war, to stop the killing. We are not enabling ISIS or al-Qaida to recruit for their militias if we find a solution for Syria. What is needed most of all now is to really find an end for this war, but at the same time to try to help those people. They need help. The Lebanese have a small country with a debt of $75 billion up to now, according to the World Bank. This issue cost Lebanon with a debt of $75 billion about $18 billion as assessed by the World Bank. We cannot really help anymore. The international community should help Lebanon to help these people, which at the same time will help the international community. Without this, we are really going to have significant international problems that will affect the whole world and not only this region. Thank you. 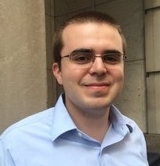 Michael Gerini is an independent journalist who focuses on Middle Eastern and US politics. It’s been a long time that I have read such a pile of utter dog-crap. There is no question of having to force Syrian refugees back into Syria; where the government has retaken control, many are already returning. Unfortunately, Idlib is still infested with ISIS, Al-Qaeda, HTS and other die-hard jihadi Orcs. There are still remnants of ISIS in the area of the Rukban camp. Almost all of Syria East of the Euphrates is occupied by Kurdish and US forces. For a Syrian refugee whose home is in one of these areas to try to return would likely be fatal. As soon as all these forces are chased out, people will return. As for Assad killing 500,000 people, well, no. The war has killed this many people, and that is because it has dragged on for seven years. And why has the war dragged on this long? It is because the US, the Zionist Entity and several NATO powers have been aiding the jihadis. The jihadis can never actually win, but Western aid keeps them propped up; never able to win, but staving off a final defeat. In 1982, Hafez Assad had to deal with a similar uprising, this one created by Muslim Brotherhood fighters. Since these traitors didn’t get outside aid, Hafez was able to end the whole thing in a few weeks, with casualties limited to 10-15,000. All of these so-called “rebels” (less than half are actually Syrian) are morally the same as the Orcs we read about in JRR Tolkien. The West is to blame for the carnage due to its support of these groups. Likewise in Iraq and Libya, the West is responsible for all the chaos and death because of our “regime change” policies. If the West had left Khadafy, Saddam and Assad alone, none of this tragedy would have even occurred. Your last paragraph, sums it up nicely. Have to remember, the author sides with Saudi side, due to the financial ties. Considering the mess the MBS-Saudi has made of Yemen as well as its support for the jihadi gangs in Syria, sycophantic support along the love/hate street, is fact. As early as June 2011 we specifically warned that the violence in Syria will not lead to freedom or democracy but bring utter destruction and deep divisions, and that exactly what happened. There was no question about the regime’s ugly history of corruption and oppression but there were many questions about the true nature and intention of rebels and their backers. The war was a gift to anti Iran elements including Saudi Arabia and Israel, it was also an opportunity for Erdogan to settle scores with the Kurds and expand his influence. Lebanon is an interesting entity, not sure if I would call it a country, it is a breath of fresh air in a region engulfed with toxic fumes, the Middle East needs Lebanon and nobody wants it to be a launch pad of terrorism and choas but the war in Syria exposed how fragile and unstable Lebanon is or could be and how irresponsible rebels backers are and that is clearly reflected in the little support rebel sponsors gave to refugees and in the way Lebanese politicians handled Syrian refugees problem using it as a political football instead of treating it as a humanitarian crisis which was made worse by the West, the Gulf countries and Turkey. Wars create refugees and when a war ends most war lords make peace with each other but most refugees remain as refugees !! For the record, back in 2011, 2012 etc, a very strong pro-revo poster here was often betraying his non-familiarity with Arabic (in the way he wrote Arabic names for example).